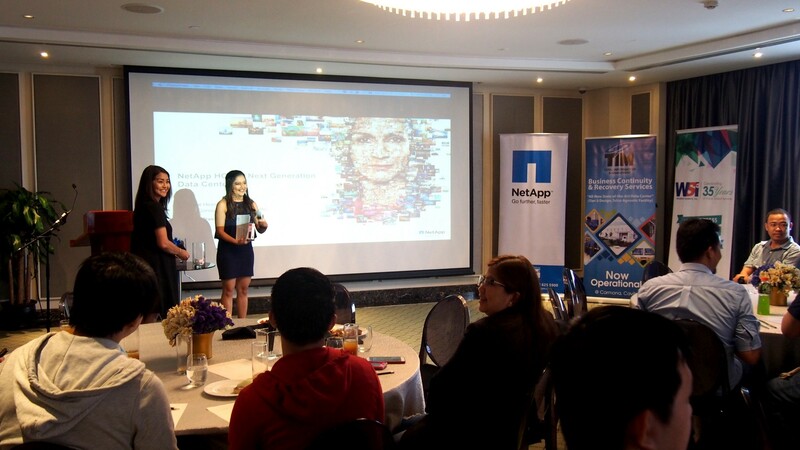 NetApp, in partnership with Total Information Management Corporation (TIM) and Wordtext Systems Inc. (WSi) gathered 51 clients from select companies last February 23, 2018 at Makati Diamond Residences to introduce yet another one of NetApp’s newest data management solutions: Enterprise Hyper Converged Infrastructure (HCI). as the pioneer of data center business in the country, has grown to be a much more prominent systems integrator in the industry through constant innovations inspired and achieved by continuous communication with the company’s many long-time clients. 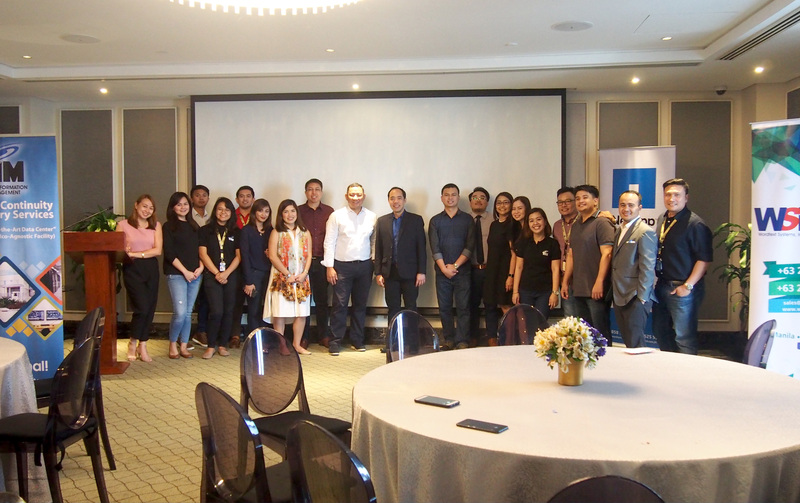 This was followed by a discussion from NetApp and ASEAN’s Senior Regional Director, Mr. Kris Day, on the power of data—how greatly it is consumed and utilized now by businesses more than ever. 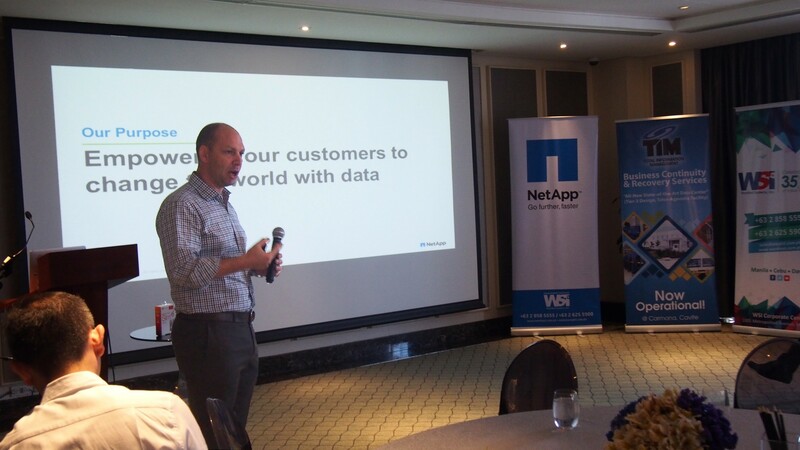 According to Kris, in times where data-centric businesses are continually on the rise, NetApp aims to go beyond merely being a storage provider but to being a data company that creates a data ecosystem for these enterprises. 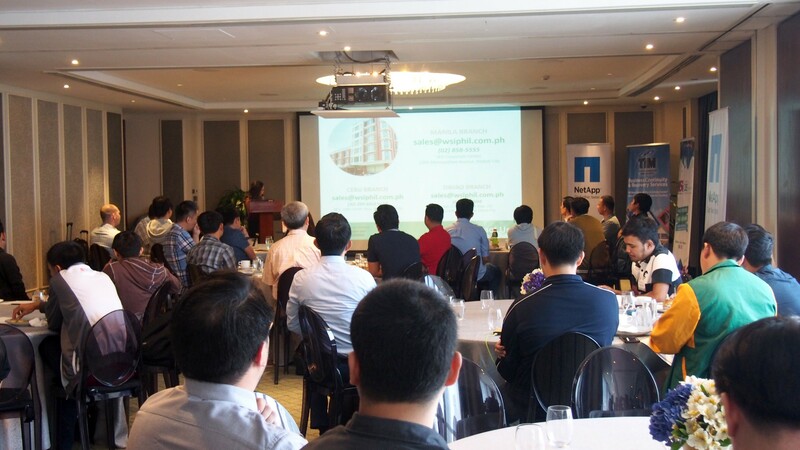 Afterwards, Senior Consultant of NetApp Asia Pacific, Mr. Soh Kiat Kiong, delved deeper into the technology that bridges data centers to the next generation: NetApp’s Enterprise HCI. 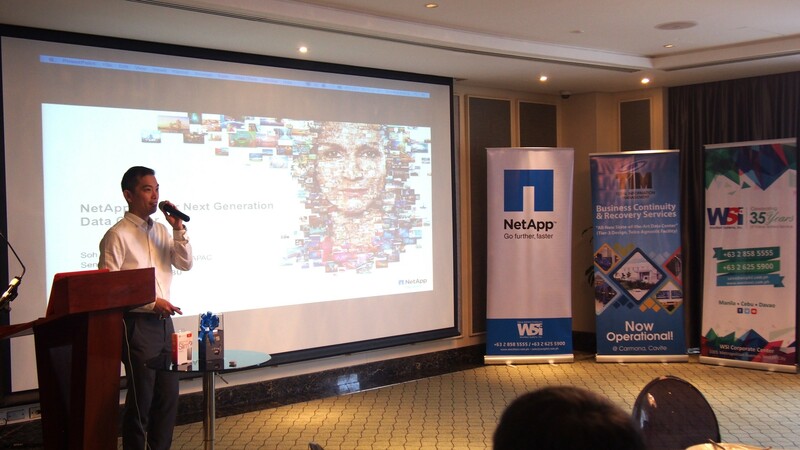 Netapp unceasingly advocates the essential role of data in the optimization of operations and crafting innovative business opportunities in every organization’s path to digital transformation. 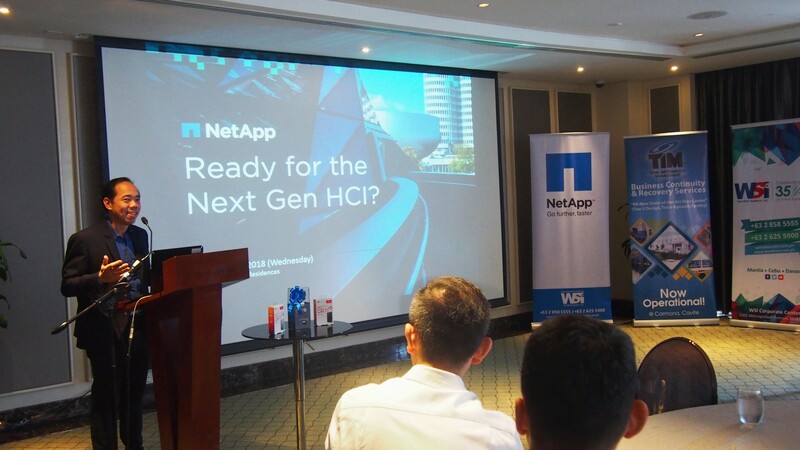 The Next Gen HCI Event came to a successful fruition through the steadfast cooperation of TIM, NetApp, and WSi.